For Christmas we have a little e-short, All I Want for Christmas Is Fudge. This is a short novella written by my best friend that gives you a glimpse into Mackinac Island at Christmas time. What a magical place. Of course there's no mention of the mess my love life is in these days in the Christmas book. It's the holidays, who wants to talk about messes when there's all this wonderful sparkle and glitter and evergreens and twinkle lights. My favorite holiday tradition-besides fudge - is tree trimming, stringing popcorn and cranberries for the tree. Making homemade ornaments. Do people do that where you live? I also like to put a cookie tree up in the kitchen. A cookie tree is decorated with sugar cookies and gingerbread. I think there should be a tree in every room. A cup of hot cocoa and a good book read by firelight or in my case twinkle lights makes the season bright. We are giving away a copy of All You Need is Fudge. Please leave a comment about your favorite Holiday tradition and Mal will pick a winner. Good luck and Happy Holidays! I do like fudge. I just like having everyone together. Baking cookies with my mom every year. I can remember my mom always making her special fudge only at Christmas---and my grandmother made popcorn balls. Baking cookies for family and friends is definitely my favorite Christmas activity. I own the first two books in the series and would be thrilled to add number three to my collection. We drive around every year and look at people decorations. Christmas eve service 91st our church, Christmas cookies and spending the holiday with family. Thank you for this opportunity to win. I enjoy getting together and making all the old family cookie recipes! Thanks, we make fudge too! 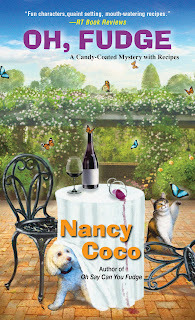 What cute covers, and fun stories too. I'm not sure I can select just one tradition because I love it all. Seeing family, making special foods, watching holiday movies, all wonderful. I love looking over the Holiday catalogs. Sometimes I just get ideas and sometimes I actually buy. It puts me in the Christmas mood. the closet and on display in the living room. about some that I have and it's a surprise to see them. fudge sounds delicious - could have a piece right now. I love to eat turkey and pumpkin pie. I also like getting stuff such as books and cash. I like to watch Christmas movies on T.V. Decorating the tree and when we're finished, turning off the lights and enjoying the beauty of tree and the warmth of the fireplace. 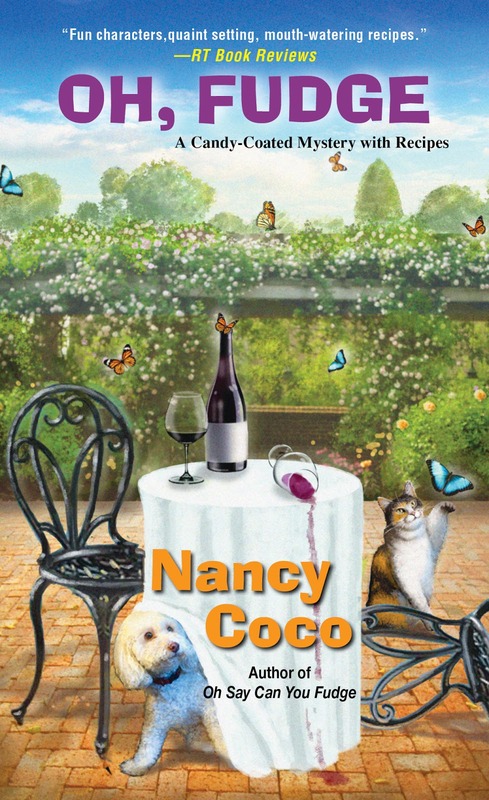 Love the cover for the new book. Merry Christmas! I usually make fudge during this holiday season. One tradition I have is driving to a local candy store for their homemade ribbon candy! If the weather isn't too bad I may make the trip tomorrow. Christmas Eve church followed by gift opening while snacking on finger food. I do love decorating the Christmas tree with the family. I'd much rather get fudge for Christmas than the housecoat/robe my MIL has in store for me (if she follows the last couple of years). My favorite tradition growing up was the itty, bitty sherry glasses full of eggnog with nutmeg sprinkled on top. Barely enough to make a sip, but chock-full of Christmas memories. A block over we have a Mrs. Santa Clause House. The Woman who owns that candybox of a Victorian... decorates every inch with ribbons, lights, wreaths and sitting figures on her porch. I think one of my best Christmas memories starts with that house and driving by it..
We bake cookies for Santa, watch the original Miracle on 34th Street, drive around town to see the Christmas lights/displays, and read Twas the Night Before Christmas. Any activity that we do with family. Whether that's getting together and playing games, watching Christmas specials on TV,or decorating a tree, it's all part of the season's magic for me. Thank you for the chance to win. 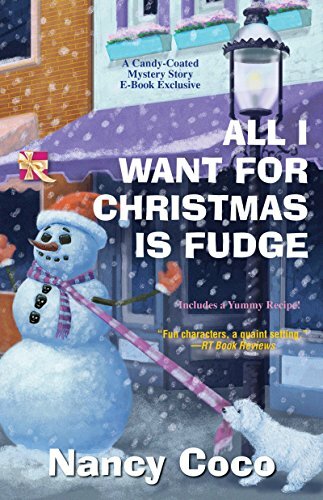 I absolutely love Mackinac Island fudge, and this series is SWEET! Tradition that I enjoy is our family draws a country out of the hat. Then we each family draws from the hat again this time for veggies, startch, meat etc. .Like this year we have Brazil and all recipes have to be Brazilian. It's fun. I have fruit salad which will have a lime honey dressing. I love driving around the neighborhood looking at the Christmas lights. My favorite tradition was cooking my Mothers family traditional English Xmas dinner together with my Mom while she shared stories of family Xmas of her Great Grandma and Grandma who cooked the very same receipes of traditional English Holiday foods, Yorkshire Pudding with Prime Rib, homemade Mince pie, pecan and pumpkin pies from scratch and homemade fruit cakes with homemade brandy hard sauce, a secret family receipe for gravy that are all divine. I have all the receipes now and cherished cooking them with my Mom.